Deborah has been involved in animation production financing and distribution since the early days of Channel 4. She cut her teeth buying animation by the minute (including Pixar’s first short, ‘Tin Toy’, and Nick Park’s graduation film, ‘A Grand Day Out’ for Channel 4’s then thriving adult animation department. She later became the Channel’s senior negotiator for animation, entertainment and youth programmes, responsible for annual budgets totalling £28m. Deborah worked on ground-breaking animations produced for Channel 4 by Aardman Animation, TVC, Spitting Image, Oscar winning team Snowden Fine and more. 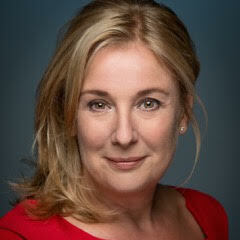 In her role at Channel 4 Deborah was involved in creating and negotiating many of the precedents that the industry still works with today in terms of format, script writing and talent deals. She worked closely with producers to piece together the finance for animation production. After 9 years at Channel 4, Deborah joined the thriving independent sector that Channel 4 had helped to create. During this time Deborah worked with Absolutely Productions and Klasky Csupo (makers of ‘The Simpsons’). Whilst working as a TV consultant developing advertiser supplied programming for Carat in 1999, Deborah met her future partners in asos.com, where she became a founder director. After the float of this successful online retail business, Deborah returned to television as Group Commercial Director for Noel Edmonds’ company Unique Communications. In recent years, Deborah has worked on a broad range of projects with clients and collaborators such as Chorion (‘Octonauts’) Rob Minkoff (director of Disney’s ‘The Lion King’), Sony Television, Acorn Productions, Agatha Christie Ltd and many more.